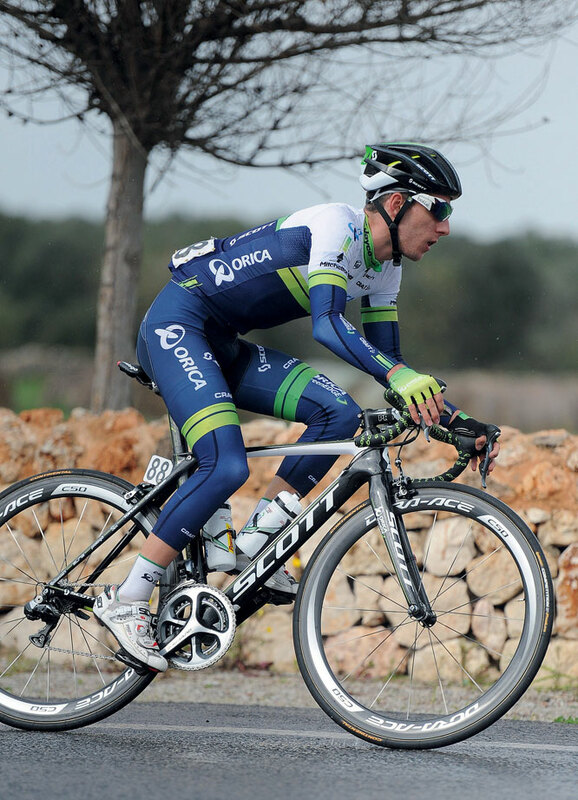 Adam and Simon Yates: Britain's future Tour de France winners? 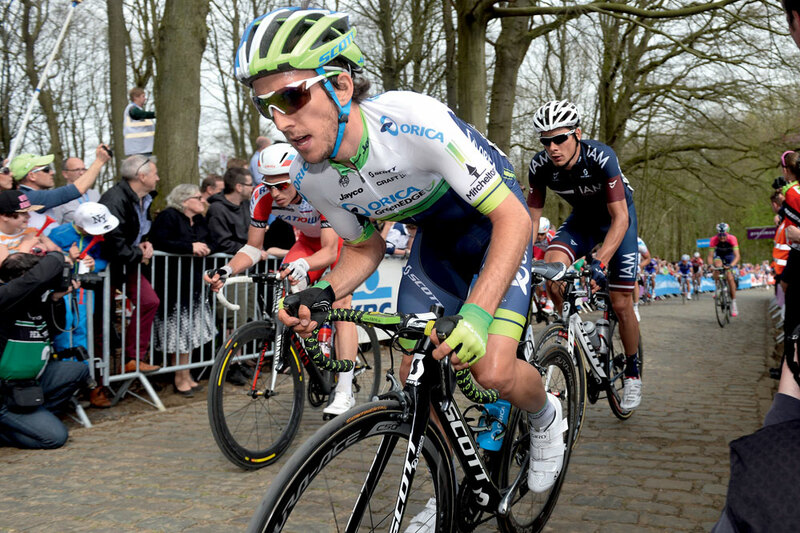 Adam and Simon Yates: Britain’s future Tour de France winners? Before meeting Adam and Simon Yates in their new hometown of Girona, north-west Spain, Cycle Sport asked the twin brothers to think of a handful of questions that they might want to ask each other, to jot them down and to bring them along to the interview. The idea was that by asking the pair to briefly ‘interview’ each other themselves, we might get some clues about their respective characters and some insight into the strength of the sibling bond between them. “I tell you what though,” Adam says a few minutes into the interview. “You know this question thing you’ve got going on, about where we have to ask each other questions? I don’t know what you wanted me to ask him. It soon becomes obvious that the question and answer session isn’t going to work. But it doesn’t matter; the experiment has already got to the bottom of the bond between the Yates twins. Society has a natural fascination with twin siblings: their similarities, their differences, the relationship between them. When the two in question are identical, that curiosity becomes even stronger. When those identical twins possess a typically dry sense of humour that will tell you they’re from the north of England (Bury in particular) before their accents do, well then now we’re talking. Oh, and did we mention these particular twins are two of the world’s most talented young cyclists, and that they have just signed their first contract to take on the world of professional cycling together? Perhaps its time we got to know the Yates twins, too. Let’s not get carried away. Adam and Simon aren’t quite as identical as you might imagine. It helps to know that Simon, the older by a matter of seconds, generally sports wavier hair and a fuller face than his brother, who carries a few days’ stubble around his chin. Simon also arrives at the interview wearing grey Adidas Originals trainers; Adam’s are maroon. Either way it’s not always enough to go on, as their new coach, Dave McPartland, found out earlier this year. McPartland is a coach and directeur sportif at Orica-GreenEdge, the team that was successful in securing the signatures of the two riders at the end of last season. The team’s general manager, Shayne Bannan, had been keeping an eye on the duo since Simon took a world title in the points race at the World Track Championships in Belarus last February, but it was their performances at the Tour de l’Avenir that led to an offer of a pro contract. Simon, in the jersey of U23 British national champion, took two stage wins and 10th overall at the ‘Tour of the Future’, the mountainous week-long French stage race that is the traditional showcase of top amateur talent. Adam, wearing a Great Britain national team jersey, finished second on one stage (where he led out his brother) and second overall. “I was getting feedback from the Australian national coach at the race and he was really impressed by both Simon and Adam: their aggressive nature and the way they went about their business on and off the bike,” Bannan tells Cycle Sport. Bannan’s judgement was proved right almost immediately. Simon went on to finish third overall at the 2013 Tour of Britain after winning the race’s queen stage, and first ever hill-top finish, on Haytor. This year they’ve soaked up the professional levels of training and proven their potential in the WorldTour in a staggeringly small amount of time. 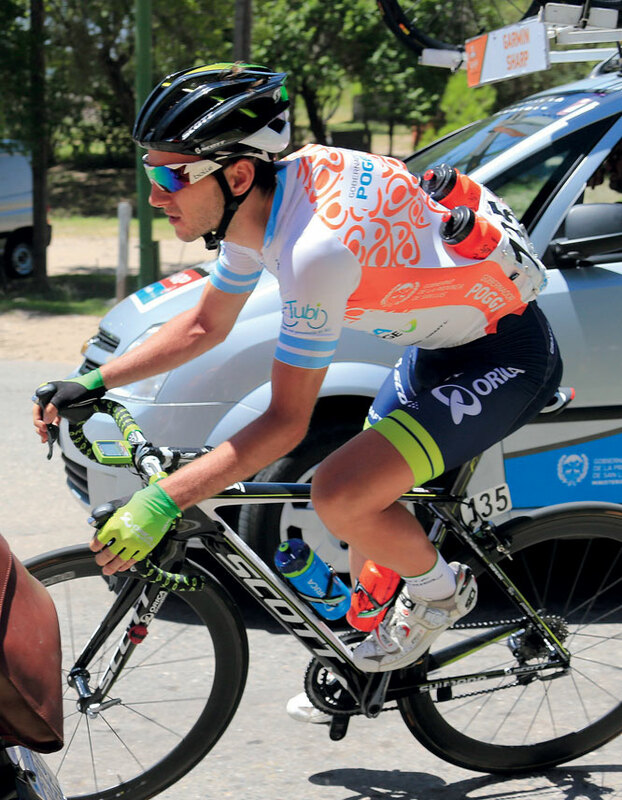 Adam won the best young rider’s jersey at January’s Tour de San Luis against a field packed full of general classification talent, and was GreenEdge’s best rider at the Tour of Catalunya last month. Meanwhile in his first WorldTour race at Paris-Nice in March, Simon not only made the final selection on the last day of racing, but also had enough in reserve to go on the attack. Before thinking too hard about the potential of Adam and Simon Yates, it’s worth looking back at how they got to where they are. They might both be neo-professionals for Orica-GreenEdge now, but their routes to get there could scarcely have been more different. In the short time that McPartland has been working with his two new understudies, he has identified a few clues to their respective journeys to professional contracts. It’s a bit of a chicken and egg situation, but he points out that Simon is generally quicker in sending through his training data when requested, which is what you would expect from someone brought up through the U23 ranks in the structured ‘performance pathway’ of British Cycling’s track-based Olympic Academy Programme. Although they shared the same junior background — careering round the boards at the Manchester Velodrome with junior club Eastlands Velo — when Simon was the only one accepted onto the Academy at age 18, Adam was forced to pursue the more time-honoured route of trying to make it in the French amateur ranks. After three years abroad — two with UVCA Troyes before moving across to CC Etupes for the 2013 season — a natural independence (some might call it stubbornness) has come through. Nevertheless, despite Adam’s Academy rejection prising the pair apart for the first time in their lives, both made an impression with their respective mentors. “He wasn’t an introvert by any means, Simon, but he was a shy lad,” says Keith Lambert, who took over as manager of the Academy when Simon joined in late 2010. “You’d sit and talk to him and he’d be looking at the floor, and he had his braces in his teeth. He was a typical boy really. But then he’d get racing and you just saw that determination.” Lambert likes to recall the moment he realised he had something special on his hands; when he picked Simon up off the road after he crashed during one of his first road races with the Academy, at an amateur event in Tuscany. Even if there wasn’t the same Eureka moment quite so early on with Adam, he blossomed under the tutelage of Jérôme Gannat at CC Etupes last season. Gannat knew Adam was good — the young French team boss told CS that Adam drew comparisons to two other young pros to have come through the team, Thibaut Pinot and Warren Barguil. However, confirmation of his talent came when he underwent power testing with Julien Pinot and Fred Grappe, the two boffins largely responsible for the FDJ.fr team’s recent scientific renaissance. As well as their personalities, those three years spent treading different paths shaped the type of rider they would each become. Both can climb, but thanks to his time on the track, Simon has kept a potent kick for uphill sprint finishes. Adam, who lived and trained on the doorstep of the Vosges and Jura mountains in eastern France last season, has morphed into a 58kg lightweight, who’s exchanged some of that kick for some extra climbing prowess. But as well as being an intriguing ad-hoc experiment in nature versus nurture, being forced to develop while standing on their own two feet did each brother no harm at all. If anything, taking chalk and cheese routes through cycling’s amateur ranks and reconverging as professionals on the other side has served to put the rubber stamp on their potential. It’s as if the conclusion to the experiment is that talent always finds a way of making it. Crucially they’ve still managed to share the characteristics that got people excited when they were juniors and get people excited now; that rare physical potential, and an attitude that means they both know what they want and they both will do what it takes to get there. “That determination, the never give up attitude, they’ve always had that,” says Lambert, who has managed both together on the Great Britain team. “They seem to have the complete package,” adds McPartland. “They are laid-back but they are also very calculating. My experience with U23s is that not all kids are like that. In an interview with sister magazine Cycling Weekly, dated August 2010, when the pair were aged 17, reporter Chris Sidwells quoted Adam on the twins’ long-term ambition: “to get in a ProTour road team”. “It doesn’t matter where we go, where we live, so long as we make it,” Adam said at the time, with Simon reportedly nodding in agreement. Less than four years after that interview was published and, to all intents and purposes, they have made it. 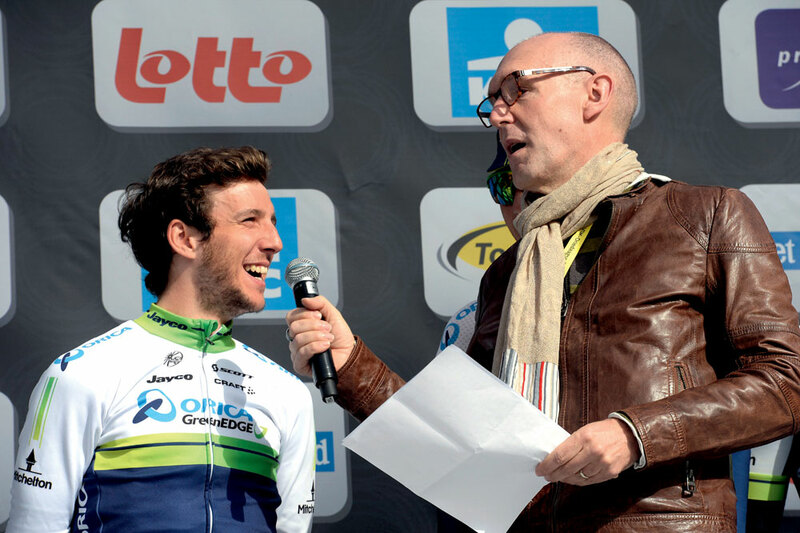 So where do Adam and Simon Yates go from here? “I guess if everything went to plan, and in a few years’ time I was as strong as I hope I would be, then I’d see myself targeting stage races with climbing, and big climbing stages and mountain-top finishes and stuff,” says Adam. “In the longest races I’ve done, I’ve always come better in the later stages. So it would be interesting to see with a three-week one whether I get stronger at the end of that. A Grand Tour call-up might not be such a far-fetched idea, even though by the time the Vuelta comes around both would have just turned 22. For a precedent, look at 2013 neo-pro, 2012 Tour de l’Avenir winner and former CC Etupes graduate, Warren Barguil who, in his debut Grand Tour with Argos-Shimano last September, took two stage wins. But Vuelta or not, their Orica-GreenEdge team, currently jam-packed full of rouleurs and sprinters, is clearly putting faith in a new crop of young climbing talent. The Yates twins, along with 24-year-old Colombian climber Esteban Chaves, are a vital component of that, and as we’ve seen, that faith seems to have been well placed. “I think it’s realistic to think that in a couple of years they are going to be winning big one-day races,” adds McPartland. “Liège-Bastogne-Liège is what suits them both. “Tour wise, I’m not sure yet. There’s certainly potential there. Let’s not forget: this is two managers on a WorldTour team talking, in all seriousness, about two riders who are barely out of their teens as potential winners of the toughest one-day race on the calendar, not within a decade but by the time they are 25. “They’re not satisfied, they’re not going to sit on their laurels. That’s the attitude they have, they just want success,” adds Lambert. It’s worth going back to that 2010 interview again, and a comment from someone who knows Adam and Simon Yates better than anyone else: their mother, Susan. The cycling world had better take note.